De Fabriek originally started as a collective project in December 1977 and have always been a strange description-defying creature. Their goal was to create minimal experimental music and this approach was also present in their releases: extremely limited editions with very special packages. In the beginning they used to work with toy instruments and other self-built machines creating what can be best described as "musique concrete". Later they started using modern equipment too. De Fabriek always had some permanent members who usually work together with other collaborators on specific projects. Different soundscapes are obtained as a result of such different collaborations. 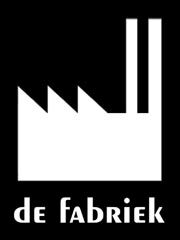 De Fabriek are not involved in any wave or trend whatsoever. They've released several tapes, vinyls and CDs on their personal label along with music created by other musicians, freaks and music lovers. Afe released their "Labische Intermediaries III - Sauerkraut und Krötenschwanz" as a co-production with Blade Records in March 2001 and "Quatro-Erogenic-Occupy Theme's Part II" in June 2004. The original edition of "Quatro-Erogenic..." was planned in 247 copies available in two different very special packages. Unfortunately, 103 of them were accidentally destroyed. The album was made available again in January 2007.